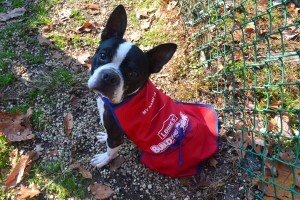 For the second year in a row, Lowe’s Home Improvement selected the Voorhees Animal Orphanage as the recipient for its “Hometown Heroes” project. Employees from the home improvement store on Route 73 repaired two of the roofs of the VAO’s outdoor kennel runs on Nov. 16. Store Manager Mielyn Casa-Caylor said every Lowe’s is given an annual budget to do something within their community. The previous year, Lowe’s repaired two other roofs that wouldn’t have made it through the winter, according to Jennifer Bailey, Marketing Director for the Voorhees Animal Orphanage. The orphanage operates out of small, outdated sheds on Cooper Road, and is in dire need of a new building. Its only income is the money they receive from the 15 towns they cover, and Bailey said it’s barely enough to keep the lights on. They rely on donations, both money and food. The VAO is currently raising money for a new building to coincide with the organization’s 30th anniversary in 2018. Their capital campaign goal is $1.6 million and have raised around $500,000 to date. One of the bigger things she mentioned is having more space so they save more animals from other shelters. Bailey said they’ve been on an upward trend over the past two years with their adoption rate up almost 40 percent and had their 1,000th adoption for the year on Nov. 2. Those looking to learn more about the VAO’s capital campaign or who wish to donate can visit www.vaonj.org/donate/capital-campaign.